Go from disappointing cupcake deflation to that pretty cupcake perfection. If you’ve ever baked cupcakes, then you know exactly where this is headed. 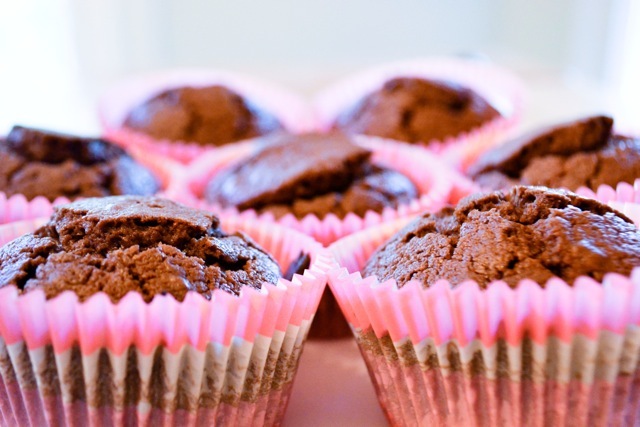 You follow the recipe, you fill the cupcake liners, you pop them in the oven. They look beautifully rounded in the oven, but alas, you wait patiently. Finally, the timer goes off, you pull them out, and the flat cupcakes make themselves known. Now, for the question that’s on all of our minds: how can I avoid the flatness and achieve the roundedness? Here are some things you may be overlooking. 1. 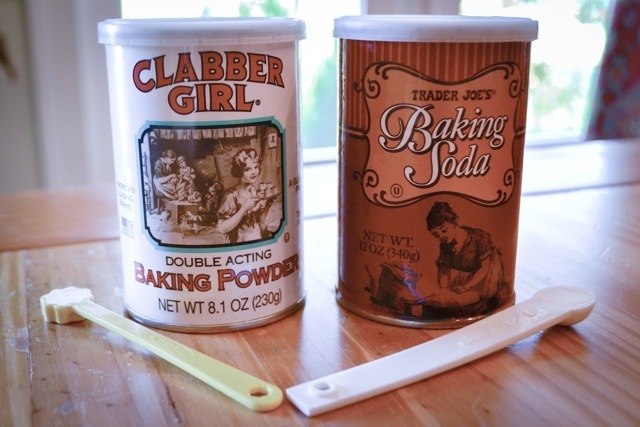 Check how old your baking soda or baking powder is. Baking soda and powder are the essential ingredients that get the chemical reactions rolling in most baked goods. They play an especially important role in cupcakes–they’re the team players that get the cupcakes to rise and create the pretty top. So it makes sense if your baking soda or powder is too old it won’t react with the other ingredients properly. This means your cupcakes will not rise to their full potential. You can check the age of your baking soda by mixing it with vinegar and hot water. If it bubbles, you’re good to go. If not, throw it out. You can test your baking powder similarly by mixing it with hot water and seeing if it bubbles. 2. Measure out your baking soda or baking powder precisely. This may seem like a given, but hear me out. Don’t ever, ever eyeball baking soda/powder. The recipe has an exact amount specified for a reason. Too much will cause the batter to overflow out of the muffin pan then deflate, while too little will make your cupcakes flat and sad since they couldn’t rise enough. Take the extra measure to pull out your teaspoon and measure that sucker. 3. Do not over-mix your batter. Over mixing can add too much air to your batter. 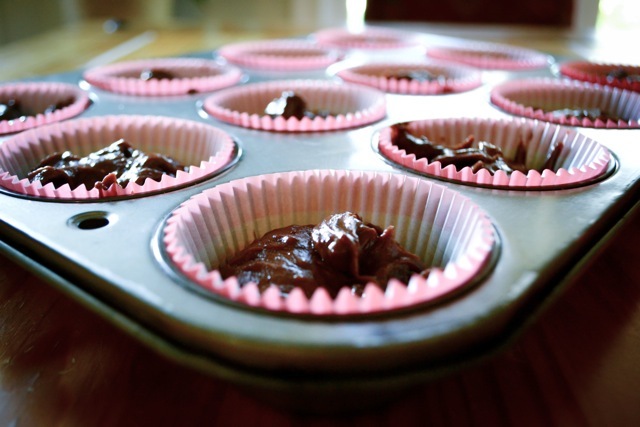 When you put cupcakes in the hot oven with too much air in the batter, the hot air will only make it seem as if your cupcakes are rising as the air escapes, causing the dreaded deflation. With practice, learn how to mix cupcake batter just until the ingredients are combined and no more than that. I like to use a silicone spatula and fold the ingredients together rather than use a mixer, which can beat the ingredients to death. 4. Filling the pan definitely matters. Fill your cupcake liners 3/4 of the way full. If you fill them more than that, they’ll have no room left to expand, and they will collapse. If you fill them less than that, there will be so much space for them to expand that they won’t be able to reach. 3/4 is key. 5. Oven temperature is crucial. This part is a little tricky, but ensures a delightful dome shaped cupcake. Preheat your oven to 400°F, regardless of what the recipe says (I know earlier I was stressing to follow the recipe precisely, but wait.) Once the edges seemed to have baked, reduce the temperature back to the one recommended in the recipe. This way the center of the cupcake can rise apart from the edges, giving you that desired shape. 6. The oven door is there for a reason. Do not open the oven door while the cupcakes are baking. Opening the oven door lets some of the heat out, which ultimately lets air escape from the cupcakes, leading to deflation. Seriously, resist the urge. I know it’s hard. We’ll get through this together. Beautiful. Brings a tear to my eye. Add frosting and you’ve created yourself a masterpiece.